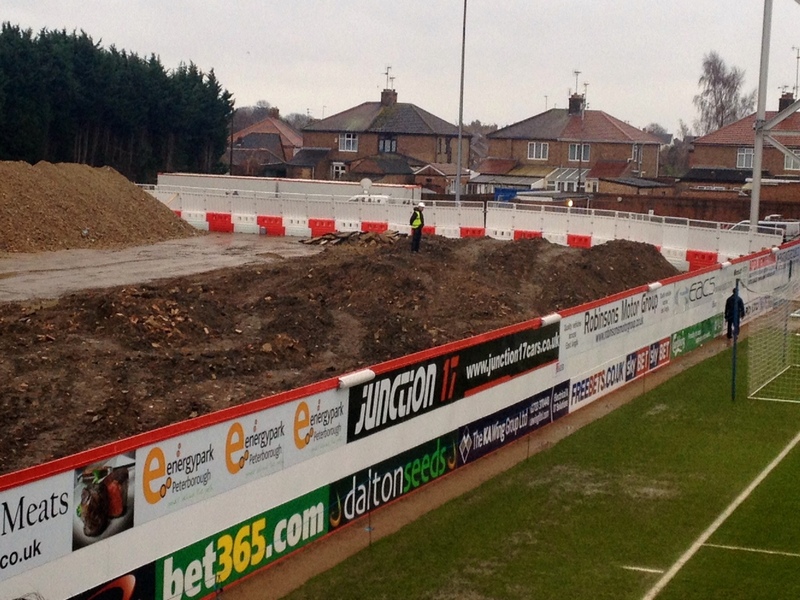 Peterborough Football Ground. What away fans need to know. Entrance price of £28 for a league 1 game is extortionate. I cannot recall a higher price for a game. Admittedly buying before the game reduced the price to the miserly sum of £25. 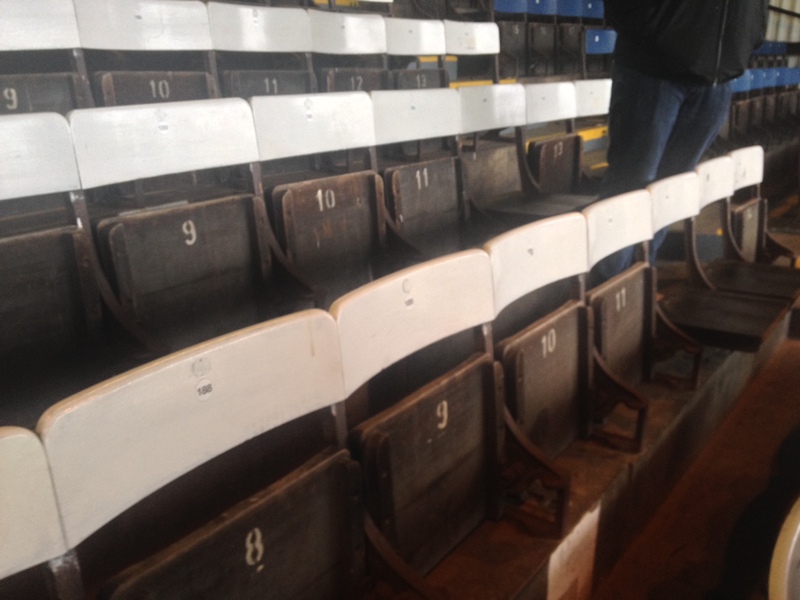 Wooden seats in an end of old main stand giving a less than perfect view. Three sided grounds lack atmosphere. This is not the fault of the club but maybe accounts partially for their team’s miserable performance. There is a direct tunnel from the car park to the ground. An excellent state of affairs. 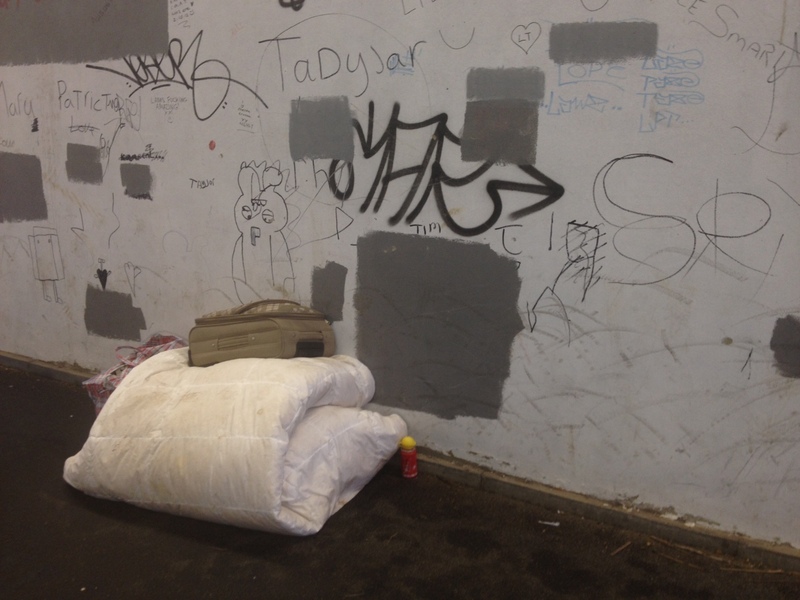 Some interesting clothing items and graffiti were there to entertain us. Why does Bob the Builder need to wear a hard hat to collect footballs? 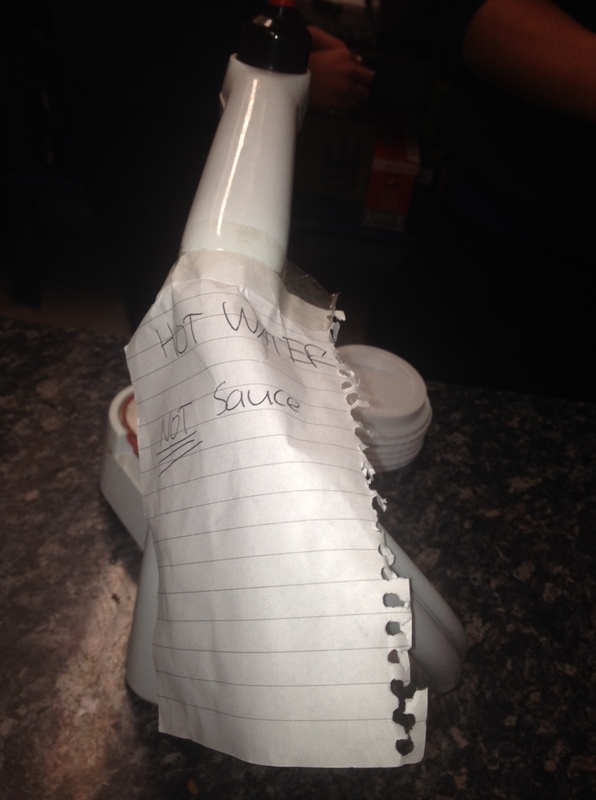 Why do the catering staff in what can only be described as the smallest cafe/catering outlet in the football league, need to be told that the tap from which they dispense hot water does not actually dispense sauce?